Enoch Birnam is living the dream of every ten-year old boy out there. 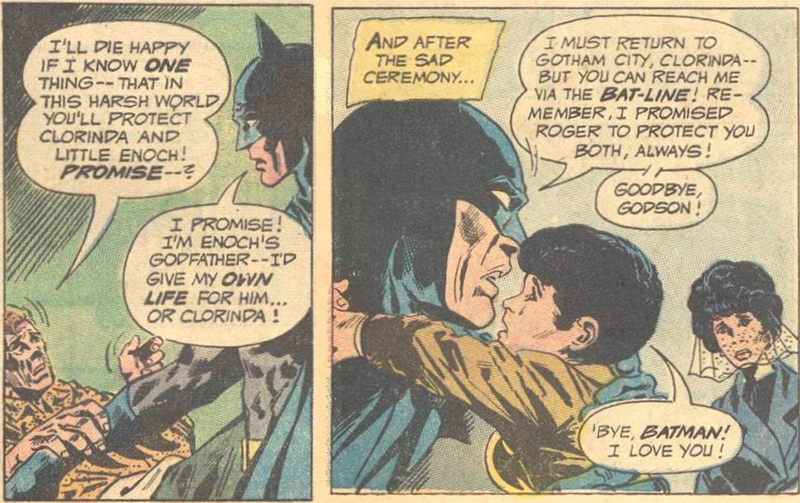 I would’ve loved to see how this kid’s baptism (bat-tism?) went down. 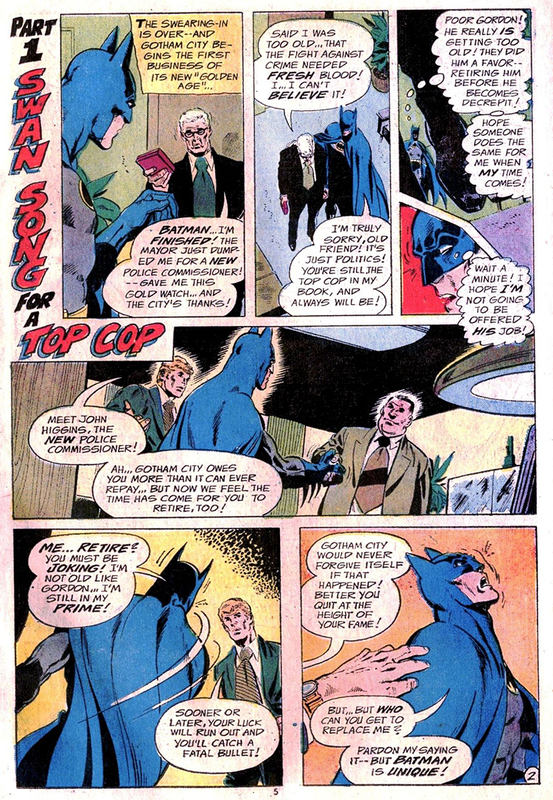 This family affair has been brought to you by The Brave and the Bold #98 (October-November 1971) by John Broome, Bob Haney, France Herron, Jim Aparo, Bob Brown, Carmine Infantino and Sy Barry. 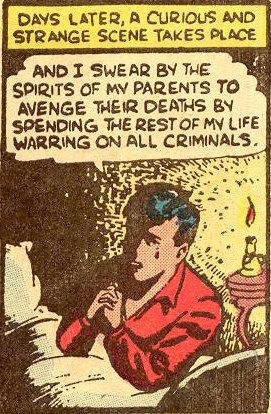 All I can do is reiterate what I said in a previous blog entry: I don’t think that the criminals in Gotham City can do anything normally. Three bets that he blows all his ill-gotten gains on ammo for his next heist. Today’s glimpse at the Bazooka Bandit has been brought to you by The Brave and the Bold #113 (June-July 1974) by Gardner F. Fox, Bob Haney, Ed Herron, Jim Aparo, Bob Brown, Joe Kubert, and George Papp. As my final blog entry for 2013, I thought I’d post something unique from my original artwork collection. And here it is. What’s so special about this drawing of Batman, you ask? 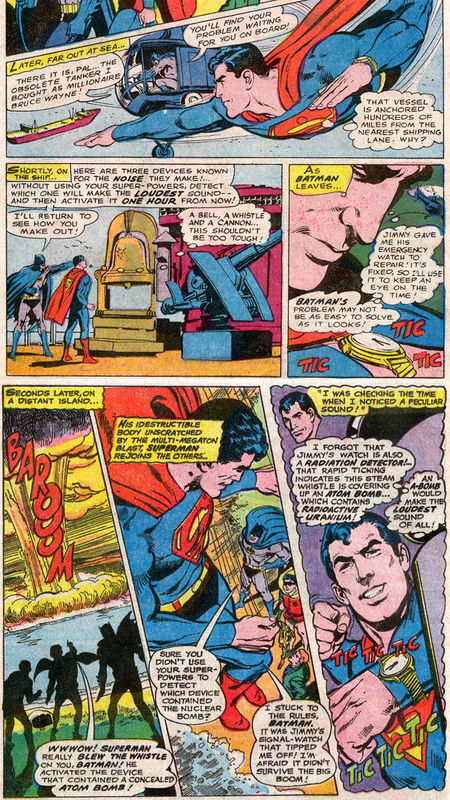 The fact that it was done not by a comic book artist, but a comic book writer, and a pretty big name at that: none other than Grant Morrison. As anyone who’s seen the sketchbook for the 2005 reimagining of the Seven Soldiers of Victory – which contains Morrison’s own concept art, character redesigns, and liner notes – knows, he’s actually a pretty talented artist. 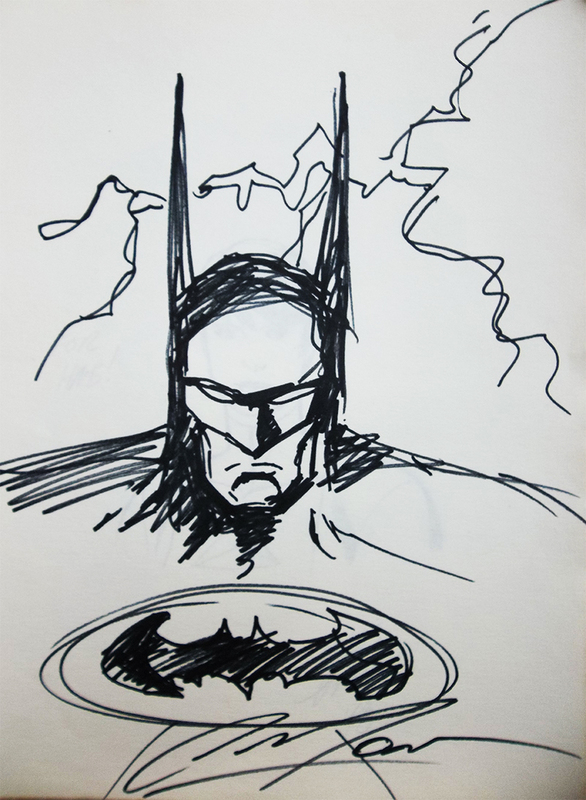 But when I originally received this sketch from him at San Diego Comic Con way back in 1998, this wasn’t something he openly advertised “because then everyone would want one”, as he jokingly put it.